It's been awhile, too long. 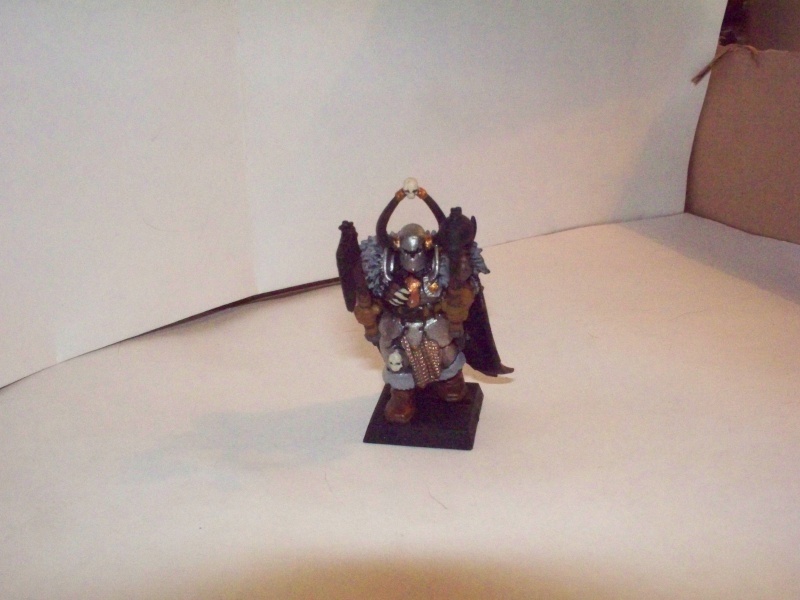 I scrubbed most of the Khorne themed chaos models, I'm pretty much reconstructing my chaos bands, in my little spare time. 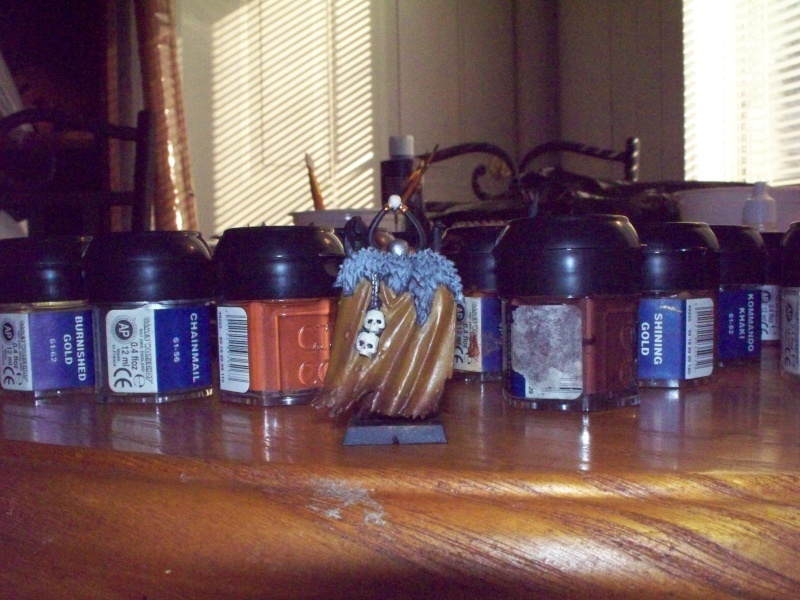 Enjoy these pictures of my new chaos marauder color scheme. Re: Old parts, new paint! Pretty awesome dude. I dig the cloak and his fur shoulders. thanks. 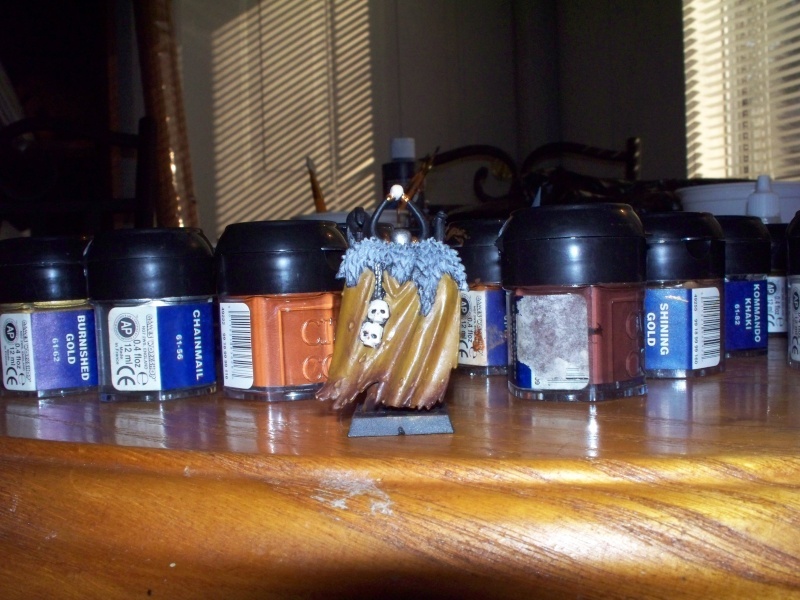 The cloak was prepped with scorched brown then layered with snake bite, inked with mud in the recesses then coated over again, the bottom was dry brushed on with scorched brown for a wear and tear effect, I also dry brushed lightly with scorched brown in a few raised area's. The armor was darkened chainmail, then chainmail. Unsure what to paint the horns, I'm considering leaving them black. The fur was gray to light gray, dry brushed of course. Now paint the rest! I want to seeee. And wash those god damned skulls. 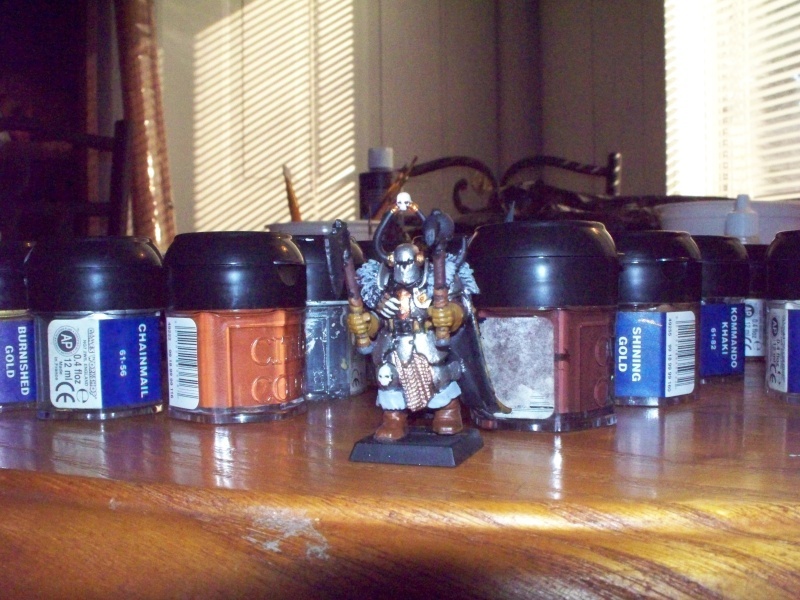 What exactly is the color scheme you're using for your marauders? Think I already told you, but to recap. It's snakebite leather, Grey, chainmail, bronze, light bronze. Silver for weapons. Beastial brown for boots. 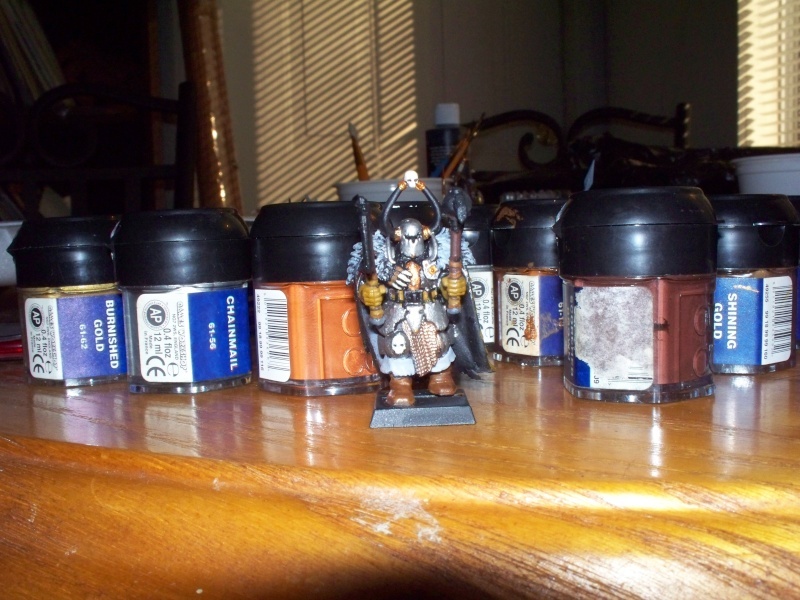 snakebite leather is the primary color for pants in my warband. Chainmail will be there's unified color. Yeah I meant the unifying themes. Chainmail huh? So just various browns and then silver? That could work, make it happen!